Paul Jarvis has been named in the Greene King IPA Championship team of the year. The Dream XV is chosen by the coaches of all 12 clubs which play in rugby union’s second tier. Jarvis plays at full back for Doncaster Knights, who finished the campaign in ninth spot, and he is the only member of his team to make the XV. 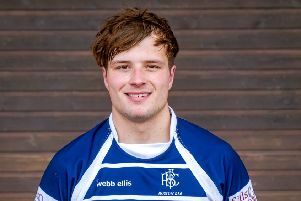 However, the former Boston Grammar School pupil cut his teeth at Boston Rugby Club, rising through the Blue and Whites’ youth ranks to become a first team, regular (pictured).